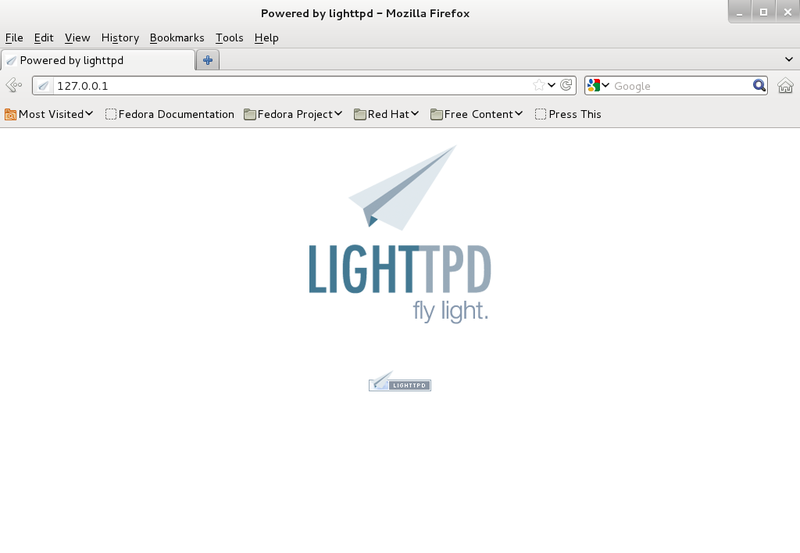 Lighttpd is an open-source web server designed and optimized for high performance environments. With a small memory footprint compared to other web-servers, effective management of the cpu-load, and advanced feature set (FastCGI, SCGI, Auth, Output-Compression, URL-Rewriting and many more) lighttpd is the perfect solution to overcome server load problems. 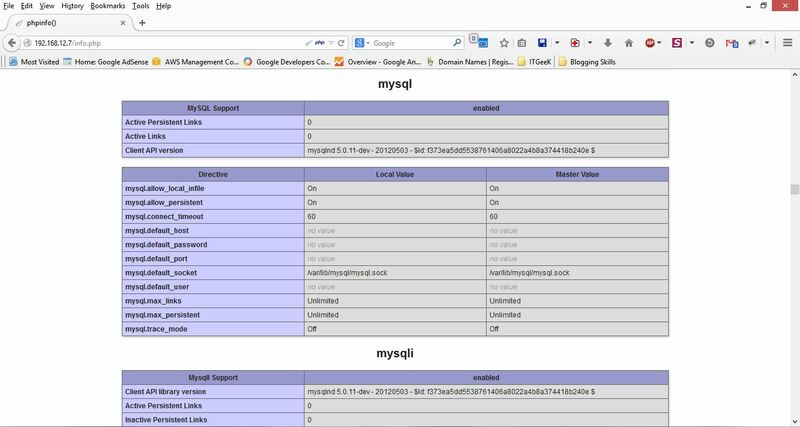 Here i will explain you the installation of lighttpd with php5 and MySQL on Fedora 21. To start off we will install Lighttpd, open up the terminal and switch to root user. Make lighttpd auto-start to boot at system start-up. In order to allow an external connections to web server, firewall must be configured. FirewallD daemon is by default enabled in Fedora 21 as a netfilter to filter the incoming and outgoing requests, here i will be using static firewall which will allow us to set our own set of static firewall rules. Before going further, install iptables service. Mask the existing FirewallD service. Enable iptables to auto start at system startup. Stop FirewallD service and start the iptables. Allow httpd port on iptables. You will get the web page saying “Powered by lighttpd”, lighttpd’s default document root is /var/www/lighttpd on Fedora; the configuration file is /etc/lighttpd/lighttpd.conf and additional configurations are stored in the /etc/lighttpd/conf.d/ directory. Next is the installation of MySQL server, MySQL is available on Fedora package; so just issue the following command to install it. Next is to install PHP 5 on Fedora with FastCGI, fedora provides a FastCGI enabled PHP5 package. We can install by issuing the following command. In order to enable PHP5 support fot lighttpd, make sure the following file has the cgi.fix_pathinfo is set to 1. To enable the FastCGI we need to edit the following file. Uncomment the line [Line No:132]. Edit the following file to configure FastCGI. Now restart all the required services. For testing the PHP, Place one PHP file on to the default directory of the Lighttpd. 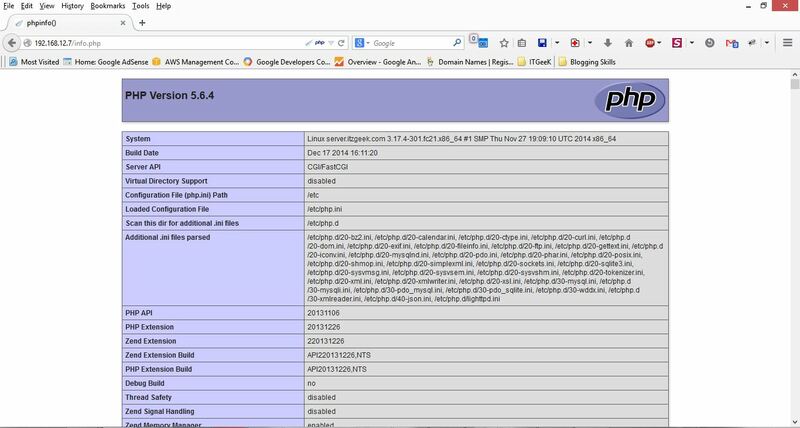 The document root of the default web site is /var/www/lighttpd. We will now create a small PHP file (info.php) in that directory and call it in a browser. The file will display lots of useful details about our PHP installation, such as the installed PHP version. This will open up a file called info.php.